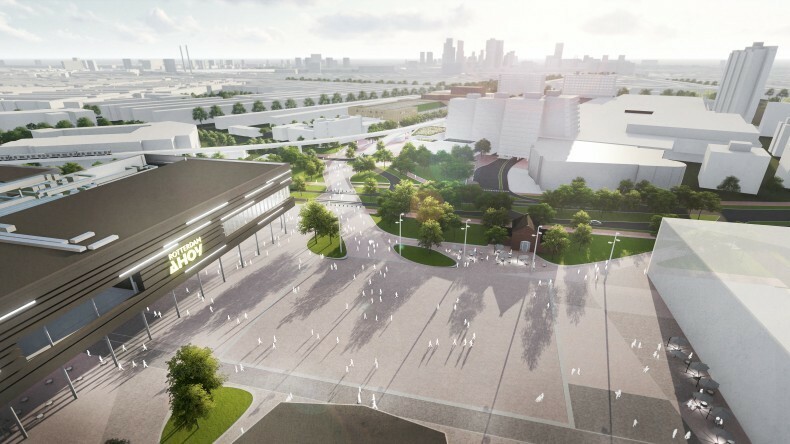 Rotterdam’s Hart van Zuid will soon be transformed into an attractive and vibrant centre where visitors will be inspired to come and stay. Our initial design includes various transformation and design proposals to create connection, add green, and improve the area’s sustainable and residential quality. While construction is underway, a number of temporary installations will be added to the public space to increase the area’s liveliness and promote its development. 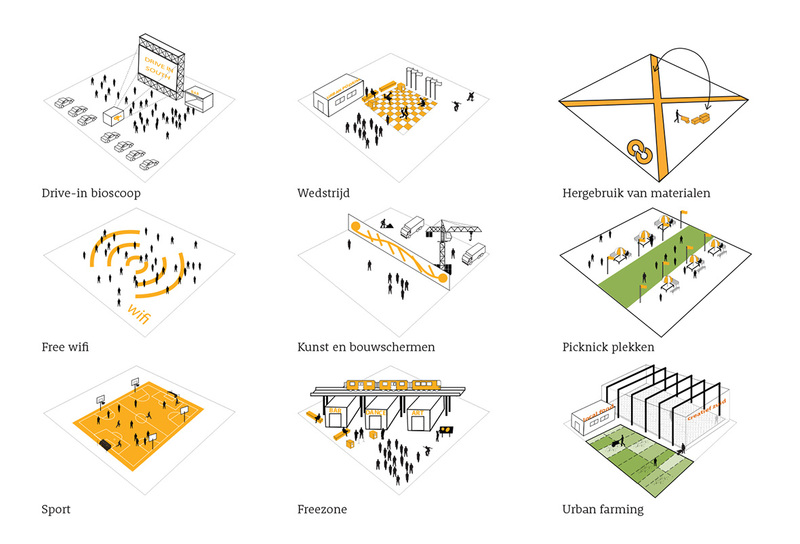 In the years to come, the only constant factor in the Hart van Zuid will be change. As a starting point, the plan is to align the installation of the new public space design with the construction of new functions. Because the various project phases are largely dependent on each other, there are still large sections of the area that are waiting for definitive interpretation, and temporary installations have arisen around construction sites. Therefore, there is a desire for adequate, creatively designed intermediary phases and temporary interventions. Temporary activities, routing and programming are essential for getting local residents involved in the area’s development. Temporary use promotes placemaking and familiarity in the Rotterdam neighbourhood, ultimately inspiring people to lay down roots. Most importantly, temporary installations are a relatively inexpensive way to gain insight into what really works, allowing us to create an adaptive and truly workable public space. Thanks to ’simple’ temporary interventions, we are able to create an identity for the area’s new locations and routes – such as the Gooilandsingel – and show the public that the area is going through a positive transformation. 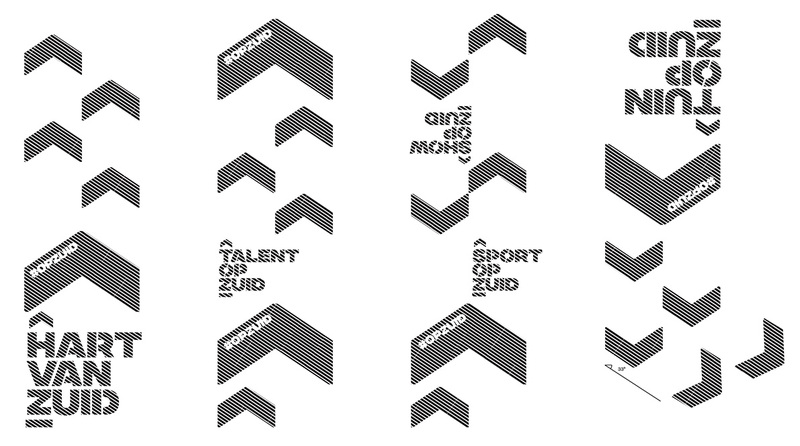 Various interventions have been designed based on the ‘Alles is Op Zuid’ identity, including large yellow letters and arrows and clearly marked routes to major Hart van Zuid functions. Elements such as these serve as a signature style for all temporary interventions. We have also been working with students from Techniek College Rotterdam as part of their curriculum to create a Hart van Zuid stage and temporary street furniture.